Before we configure Outlook email account to use it as an email client, let us know what it is exactly. Office Outlook is one of the favorite email clients; it is developed by Microsoft and distributed along with the Office package. We can add various emails to Outlook especially office emails. 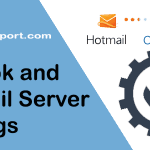 Outlook downloads the email that resides on the server, and those email also can be viewed offline. It comes with lots of features of calendar integration, reminders, tasks, notes, contacts, etc. 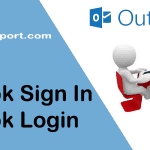 You’ve to sign into Outlook account first to configure Outlook setup. 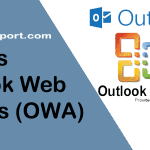 If you are trying to configure Outlook in other platforms, then check the respective location. 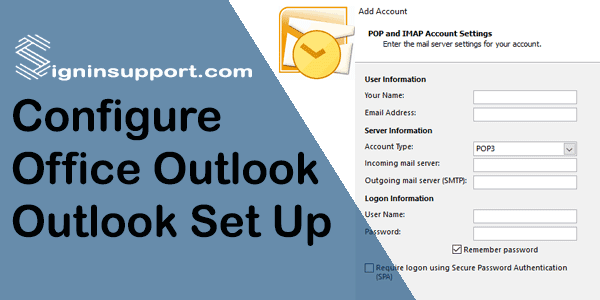 The step-by-step guide to Outlook mail configuration in Outlook 2013 is listed below. 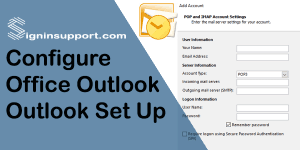 Though this tutorial is for setting up an email account in Outlook 2013, it is also applicable on how to install email in Outlook 2016. You will get welcome a message from Outlook Click ‘Next’ to continue. Click On ‘start’ and type ‘Outlook’, or click ‘Start’, click on ‘All apps’, click ‘Microsoft Office’ and then click ‘Outlook’. You will be prompted to add an email account in Outlook, Select ‘Yes’ and Click ‘Next’. Note: – If you select ‘No’ and press next, then you cannot use Outlook as it does not have an account in it. Now you will require giving the information about your email account in Outlook. a. Your Name: Enter your Name for an email account. c. Password/Retype Password: Password that email address provider gave. Now you can select the type of email service that you get from your email provider. If you are confused, please contact your email provider and get the correct detail for email configuration in Outlook. Most of the emails work with POP or IMAP, and we are going to select it for now. Fill out the information that is required for the configuration of your email account in Microsoft Outlook and click ‘Next’.You can click ‘More settings’ from the account adding a window to access more settings to be made for your email address. If all your configurations are correct, you will start receiving emails right at your inbox of Outlook. After that, you will get the window of Microsoft Outlook where you can see your email and create email or reply/forward emails from Outlook. Login steps for Outlook.com are different from the steps mentioned above. 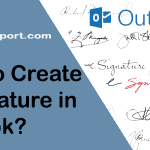 How to Create a Signature in Outlook?